The Sikh Pound is worth £7.63 Billion, according to the British Sikh Report. 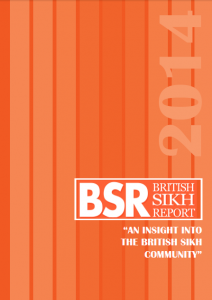 The British Sikh Report (BSR) is the only strategic document of its kind, aimed at governmental bodies and national institutions alike, which draws attention to the aspirations of the British Sikh community across a range of areas. Compiled by a collective of British Sikh professionals and academics, it is based on quantitative research and will be used to help better understand and meet the various needs of the Sikh community. It is anticipated that the report will assist non-Sikh organisations in working with the current British Sikh population on collaborative projects. Some of the key findings in the report related to the financial strength of British Sikhs. The report found that two-thirds of British Sikh households (66%) have pre-tax incomes above £40,000, and over a third (34%) have a household income in excess of £80,000. Taking into account the average size of the British Sikh household, the report values the Sikh contribution to the British economy at a staggering £7.63billion. In terms of wealth and assets, home ownership is very high amongst British Sikhs with 87% of households owning at least a portion of their home. 30% of British Sikh households own their homes outright and only 9% rent their properties. A mere 1% of British Sikhs claim Housing Benefit. According to the report, British Sikhs are clear net contributors to the British economy and have a strong entrepreneurial drive, with about one in three British Sikh families (34%) owning a business in the UK. The document was launched at a Parliamentary event on Wednesday 9th April where Sadiq Khan MP (Shadow Justice Secretary), Priti Patel MP and Lord Dholakia amongst others spoke of the positive relationship between Sikhs and Britain and discussed the findings of the report.